Last September, the Friday before fashion week, Nicholas K lost almost everything – their design and photo studio, showroom and a large part of their design archive due to a fire on the ground floor of their office building. Like a phoenix rising from the ashes, the brand visited their roots to build their future. While sifting through the remnants of the archive they were reminded of the defining characteristic of the brand- their past collections were equally relevant today and seamlessly integrated with current collections. 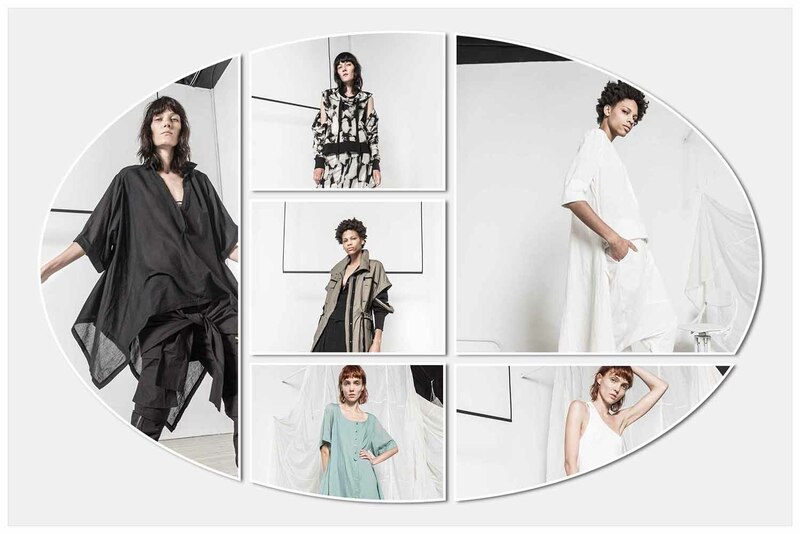 Staying true to the DNA of the brand – conscious sustainability and utilitarianism, Nicholas K created flowy silhouettes that are modern and ethereal yet sleek and minimal. A neutral color palette of black, white and shades of gray in between was interspersed with pastel sea green for a pop of color. As a pleasant surprise to their fans, Nicholas K teamed up with Trippen shoes from Germany to collaborate on their iconic Metro F shoe which was presented as part of the collection.